Who wouldn’t be in your situation? Perhaps excited is an understatement even. Elated or over the moon could be the closest to describing your euphoria. After all, it’s not every day you get to buy a new car. Buying a car is a big step, whether it’s your first or your tenth. But for many first-time buyers (and even tenth time buyers), the shopping process is marred - and what looked like the best purchase ends up being a lemon. And the sad part is that it’s a lemon you can’t make lemonade with. You see, many people spend a lot of time looking around for that perfect car that marries all form, features, and fun. But they forget one of the biggest fundamentals of car shopping – the warranty. Car warranties are the most overlooked factor in looking for a car. The results can be emotionally and economically devastating if you do. Let’s dig into this issue that many shrug off due to not being able to understand the technical jargon salespeople use. And I promise it will be a fun and easy ride into this mysterious world. So, why is it important to understand car warranties? Because they are your backup plan in the case of a fault or break down. But then I’m getting ahead of myself. Let’s take it step by step. 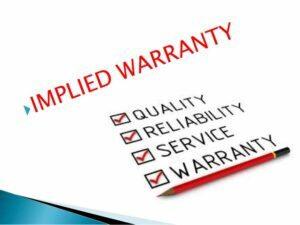 A warranty is a type of guarantee by a manufacturer or dealer that your car will not cause you any problems within a certain specified time frame or mileage. 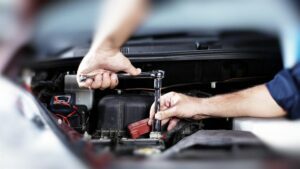 In the event that your car breaks down before the expiry of the warranty, the manufacturer or dealer vouch to incur the costs of putting your car back on the road. Now, that is just a general definition. There are different types of car warranties as you will soon see. And that is why it is important that you understand the one you are getting. As already mentioned, car warranties are not all the same. Manufacturer’s warranties are usually the best because the cover is more comprehensive in terms of duration and repairs covered. One thing to note is that different manufacturers offer different types of car warranties so it’s dangerous to assume that what was covered in your previous car will automatically be covered in the one you are buying. It’s tedious I know, but always go through the manufacturer’s warranty with a fine-tooth comb every time you buy a car. Bumper to Bumper. This is the most comprehensive part of a manufacturer’s warranty and covers, as the name suggests, everything from the rear bumper to the front bumper. The bumper to bumper warranty does not, however, cover wear and tear items such as brake pads, wipers, tires, etc. With modern cars coming with expensive electronic components, you’ll definitely appreciate this warranty. Powertrain/Drivetrain Warranty. This covers most mechanical components such as the engine, transmission and many other mechanical components responsible for moving your car. Many manufacturers actually offer longer coverage periods for this warranty as most components are expected to last a very long time, with some lasting as long as the life of the car. Corrosion Warranty. A corrosion warranty covers repairs due to rust on the body or other components of the car prone to rust. Some manufacturer’s offer a lifetime corrosion warranty. It is important for you as a customer to know what is covered in a manufacturer’s warranty as it will save you from spending large amounts of money on a problem that the manufacturer covers. Still on the manufacturer’s warranty, you will have to note the terms and conditions that keep the warranty valid. For example, if you change a component in the car and replace it with one not recommended by the manufacturer and using a dealer not recognized by the manufacturer, you make the warranty void. This is why taking the time to go through car warranties is very important. As the name suggests, this warranty is not provided by the manufacturer but by the dealer who sells you the car. This will usually only cover you for up to 6 months (depending on the dealer) and won’t cover as many repairs as the manufacturer’s warranty. Most dealers will offer either a limited or full warranty to cover all or some select components of the car they are selling. 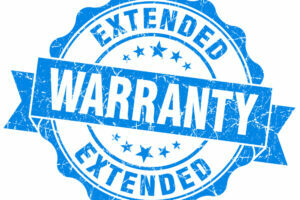 However, full warranties are a bit of a rarity as the limited warranty is more popular with dealers. 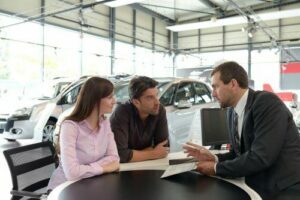 And as is to be expected, different dealers cover different things in their car warranties and you’ll do yourself justice to inquire about everything included and excluded from the warranty. 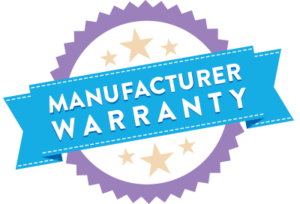 As with the manufacturer’s warranty, different terms and conditions apply to each dealers warranty so be sure to know exactly what the warranty warrants from you as well. For example, some dealers stipulate that repairs covered by the warranty only be undertaken by them or by mechanics affiliated to them. Most of this information will be included in the buyer’s guide, so as you shop around for a used car, don’t dismiss the buyer’s guide as a time waster. Take time to look into it and see what kind of warranty that particular car has. So, you bought your car brand new and the manufacturer’s warranty is about to expire. Is this cause for panic? You can easily and simply extend that cover with an extended warranty. Extended warranties, also commonly called aftermarket warranties cover a vehicle for an additional period of time after the manufacturer’s warranty has expired. Many debate whether or not to purchase an extended warranty but the bottom line is that a car is a machine with many moving components. Many of them are expensive and they can fail without warning. This is where an extended warranty will be of great value. Be sure, however, to know exactly what is offered in the extended warranty you are buying as it won’t be the same as the original warranty that covered your car. It will actually cover less than what your original warranty did. When is the best time to buy an extended warranty? That is a question that is asked a lot and, in all honesty, the answer is something every car owner needs to know. Most of the time, when a car salesperson brings up extended warranty customers think it’s a ploy to get more money from them. But that couldn’t be further from the truth. Getting an extended warranty early on in the life of the car has 3 main advantages. It helps you save more. This is because your car will be less of a risk at this point and thus you pay less. You get better coverage. Because of it being new, your car will qualify for the most comprehensive coverage. You avoid lapses in coverage. One thing car manufacturers don’t do is notifying you of the expiration of your warranty. In this busy world, it’s also easy for you to forget. This is where getting an extended warranty early will save the day – especially if something expensive breaks. So when is the best time to get an extended warranty? Ideally when the car is still new, otherwise make sure to get it at least before the manufacturer’s warranty lapses. An implied warranty is not a written or verbal warranty but is always present whenever goods change hands. It is a non-verbal promise that what the seller is handing over is expected to fulfill its purpose. In simple terms, this means when you buy a car from a dealer, you expect it to function. Therefore if the car doesn’t function as expected, you can stand on the principle of the implied warranty. However, an implied warranty can only be invoked when you can prove that a certain defect was present at the time of the transaction. The downside of an implied warranty is that it only covers the basic functions of a vehicle. I’m sure you now have a better understanding about car warranties and you can now make more informed decisions in this regard. But before we conclude, there is one very important aspect of car warranties that we need to look at. There are times when a car is traded when it is still under warranty. In most cases, the warranty is transferable as long as the conditions of the warranty were met. This is simply because a warranty follows the car, not the owner. So yes, a car warranty is transferable. Every car needs a warranty, no matter how excellent the manufacturer is. After all, it is a man-made machine, and anything made by man has some flaws. So next time you buy a car, pay special attention to the warranty, you never know when it might save you from grief. And when it comes to extended car warranties, it may seem like an unnecessary expense, but it can actually save you a lot more in the end.